No Island - Latest Updates: *UPDATED* Rock Like There's Snow Tomorrow... Again! *UPDATED* Rock Like There's Snow Tomorrow... Again! Update Jan 23rd: Revelstoke date (Feb 7th) cancelled. New show booked for Feb 7th at The Elk & Oarsman in Banff, Alberta. 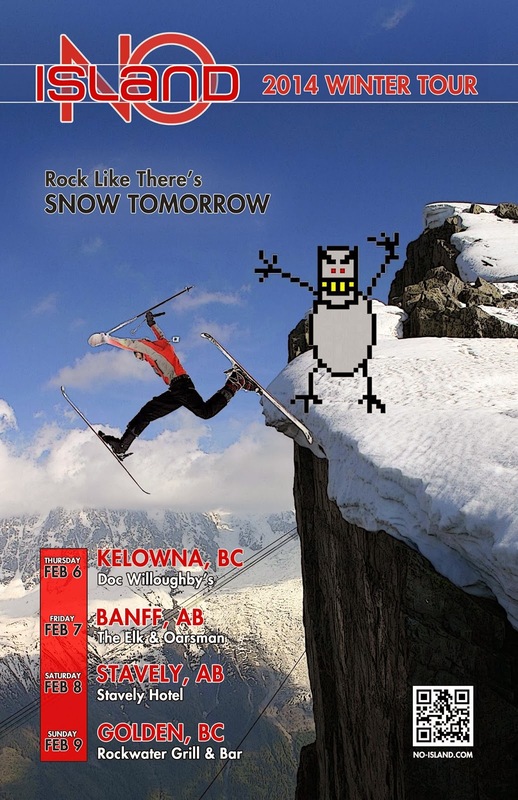 After the success of our first ski town mini-tour last winter, No Island is bringing back Rock Like There's Snow Tomorrow for 2014.